Kenya is undoubtedly one of the best and most gorgeous countries in Africa. A lot of people dream about the tropical weather, enjoying lazy afternoons in the sun with a cold beer in the white sandy beaches while looking into an amazing landscape. These are truly some of the best experiences you can have in Kenya. With the lush plains, stunning weather, awe-inspiring mountain ranges and a coastal region as beautiful as the Caribbean, Kenya will surely blow your mind. The capital city Nairobi is a vibrant one with 3 million people. With an economic growth rate of 6.9% in 2015, Kenya is definitely showing signs of progress and Nairobi is its epicentre. In the last few years, many relocation organizations have set up their regional headquarters in Kenya, especially in the capital city Nairobi. Kenya is surely one of the best places to relocate, but at the same time, it is not the easiest country to live in. If you plan on relocating to Nairobi for a significant period of time, then you must consider the full service movers in Kenya. It will be a huge learning curve, but you need to embrace the cultural differences. To make your relocation easier, we have brought a comprehensive analysis about what the leading full service movers in Kenya have to say. But before that, let us get a brief idea about how good Kenya is, as a country. How Good is Kenya as a Relocation Option? Nairobi has been named as the ‘most intelligent city’ in Africa. When it comes to infrastructure, Nairobi is among the most developed cities. It has high-speed internet, a forward-moving economy, 24-hour establishments, superb housing and the city is a 24×7 business hub that has got something for everyone. Kenya has got an amazing wildlife, and that is why the country is known as ‘unofficial African Safari Central’. The plains and conservancies of Kenya are home to some of the breath-taking wildlife you will ever see. The best part of this country is, you can opt for beautifully formulated safari packages where you get to see the animals in their natural habitat. If you plan on relocating to Kenya, it is better to opt for the full service movers. Africans are mostly peace loving and friendly people. But there have been increased security risks in the recent years. So, the professional and full service movers in Kenya will be well accustomed to safety and security issues and prioritize in keeping your valuables safe throughout the relocation process. The city of Nairobi has a plethora of car owners. A lot of people rely on the public transportation too. You can either choose a bus or you can also opt for the ‘matatu’ (a minivan). The buses and minivans are the most affordable means of transport in Kenya. The full service movers in Kenya will offer you the best and safest transportation throughout your relocation service. In any relocation process, mastering the art to avoid traffic is extremely important. Between 7:00 am to 9:00 am in the morning, there is a long trail of slow moving cars in Nairobi. The full service movers in Kenya, are well accustomed to the roads and the peak time for traffic. It won’t be a difficult task to avoid a bad start in the mornings while shifting from one place to another. The cost of living in Kenya will depend on your preferred life. If you prefer a thrifty lifestyle, you can live on as little as Ksh25,000 shillings for a month. For an upper-middle-class single person, the cost of living is around Ksh60,000 shillings for a month. And a luxurious lifestyle costs Ksh200,00 shillings a month. A lot of full service movers in Kenya feel that providing transportation during relocation can be a risky job compared to providing transportation for relocation in other countries. There are two primary reasons for such feeling among the leading full service movers in Kenya. First of all, there is no written law and secondly, Kenya doesn’t have a self-regulating body like an “Association of Kenyan Movers”. Another important factor is necessary to consider in this scenario. Though the relocation industry has become well established in Kenya, still the professional moving category didn’t do enough for distinguishing itself as a separate and independent industry with a completely different identity than general transporters. Thus, numerous leading full service movers in Kenya have a lot of similarities in documentation, procedures, image, and culture which are identical to the general transportation companies. These transportation companies don’t hesitate to call themselves as professional movers on their front end (brochures, websites, etc. ), but their back office operates in a completely different mode. Their system is not the right one for a modern day moving company. Thus, it is absolutely imperative to carefully select the professional and full service movers in Kenya during any relocation process. In reality, the full service movers in Kenya take up a lot of risks compared to the transportation companies. The primary objective of the leading full service movers in Kenya is offering timely services with high levels of expertise and reducing the risk. All the moving and relocation service agencies have realized the importance of heavy investments in professional staff recruitment, training, and moving the resources and equipment. Compared to start-up relocation and moving agencies, the leading and well-established relocation companies have shifted their attention in offering ‘move insurance’. 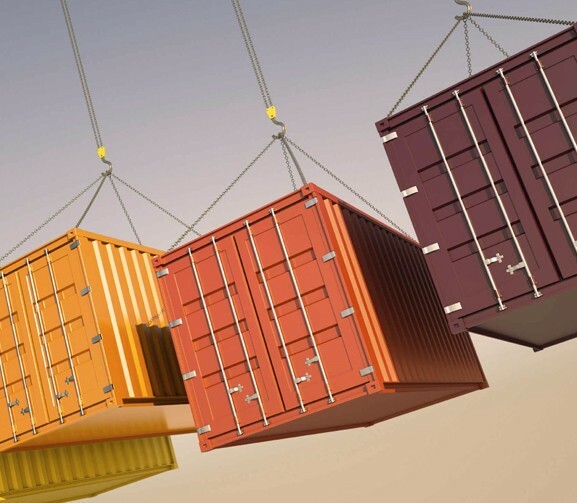 At present, the companies are also offering ‘Goods in Transit Insurance’ and ‘Marine Insurance’. Apart from road accidents, there can be other damages and losses related to moving which can happen because of poor handling, planning, and packing. With these insurances, the leading relocation companies have already started avoiding the above-mentioned losses. In major economies, moving and relocation is an extremely well-regulated industry that has written laws. These laws guide the minimum responsibilities and duties of relocation companies. Even the moving companies are provided with licenses. With the improvement in economic condition in the last decade, Kenya is gradually moving towards being a ‘1st World Country’. The strong industry associations have enabled the leading full service movers in Kenya to offer top-class services to their clients and enhance the name of the industry. Though Kenya faced an economic drawback in 2016 with a growth rate of 5.5%, it is projected to increase at a constant rate to 5.8% in 2018 and 6.1% in 2019. The leading full service movers in Kenya will have a lot of business opportunities to explore. This will help in enhancing the standards, create an order and establish the relocation services as an independent and dominant industry in Kenya. Initially, it was difficult for the full service movers in Kenya to gain the trust of people with their relocation services, especially if it is corporate relocation. The major concern was the safety of their valuables during the process. It was the top-notch relocation companies like Taylor Movers that assured clients by offering absolutely flawless relocation and moving services and established a strong foothold in this industry in Kenya. At present, you will find a lot of full service movers in Kenya, which reflects the growth of the relocation industry. 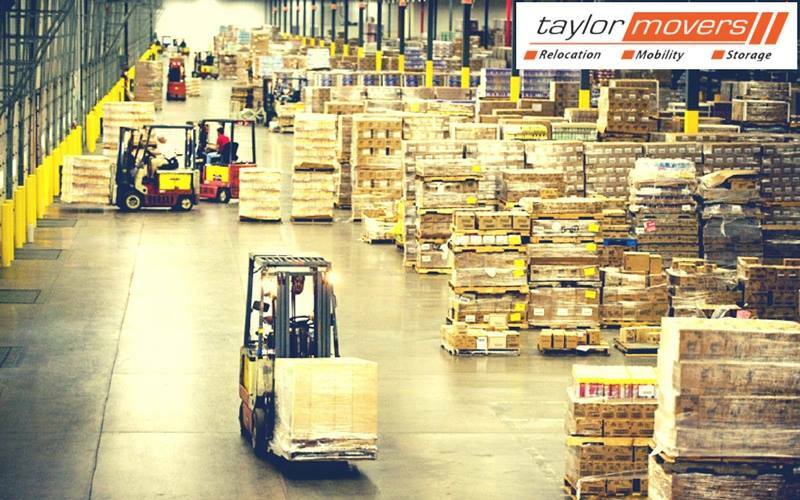 Till now, Taylor Movers have proved to be the most experienced and effective one. 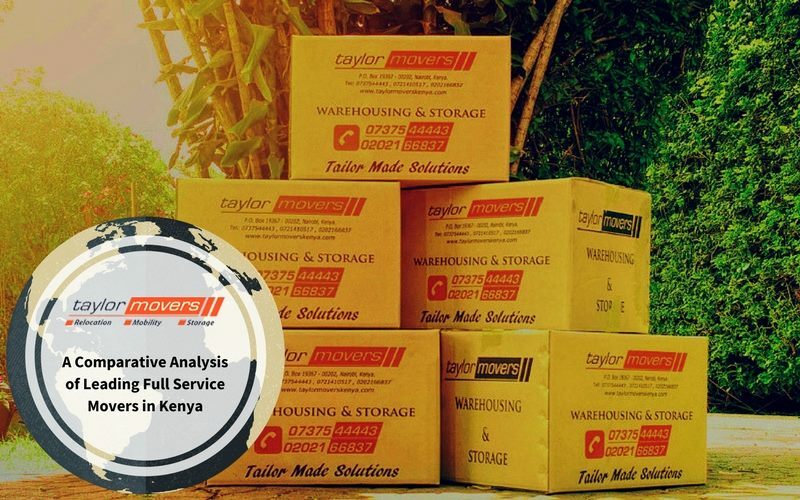 Once you check out their services page, you will get to know why is Taylor Movers the best Kenyan mover and packer company. As we mentioned above, Kenyans are very friendly people, so if you are planning to relocate to Kenya, all you have to do is make a slight effort to know people and they will immediately take you in. If you feel like a new entrant, just go out and do the things that you enjoy doing. Nairobi may not be a perfect city, but it is wonderfully modern. The supply of water, electricity, the internet is pretty fast and steady. With the superhighways, highways, and flyovers, Nairobi is a well-connected city which offers smooth local and international relocation. There is no language barrier in Kenya. Almost everyone speaks English fluently. So, you can make yourself at home. Speaking of home, the real estate market has flourished significantly in Kenya where you can get readily available apartments ranging from Ksh90,000 to Ksh300,000. When you are selecting full service movers in Kenya, don’t forget to check the licenses and insurances offered by the relocation companies. This will ensure that you are contacting a genuine company for all your relocation requirements. Check for the reviews and testimonials from previous customers of full service movers in Kenya. This will offer you a clear insight into any hidden charges and the quality of services offered by the relocation companies in Kenya. Whether you choose to work in Kenya, set up a business or just come to take a tour, this country has got a lot to offer. If you are moving to Kenya, the best relocation company to contact is Taylor Movers. You will be provided with sufficient amount of storage to keep your belongings safe throughout the relocation. Moving from home is always said to be one of the very most hectic and stressful events in one’s personal life. Even more so when it comes to moving to a totally different continent and country, the level of stress involved can increase. For a successful relocation, choosing the best removal company is key; Taylor Movers East Africa will make sure your belongings are securely packed, loaded, transported and unloaded to your final destination. Most people move for various reasons, it’s either for personal reasons, relocated by employer, because of kids or to join ones family, and research is an important factor. This can be done online, through the Expat forums and communities, in these kinds of forums one can get to know a lot about life in a particular country. Keep in mind that most people feel very safe talking about how homesick they are or what exactly they don’t like about the new home, so don’t get distracted by the negative sentiments. As for the children it’s important to investigate schools and access to other activities. Even after you the research your new home, your chosen place of residence may not work for you once you get there. It is advisable to first have a rented home on a short term basis so that you can choose what suits you. #TIP 2: VISAS AND RESIDENTS PERMITS DOCUMENTS ARE IN ORDER. No matter the reason why you are moving or how straight your situation, unless you are a recognized citizen of the country you are moving into, you will have to make the required arrangements for work and resident permits. You may also require a visa because without all this documentation a lot of things will be put on hold for example, opening a bank account, clearing your household goods etc. The processing of these documents vary per country, since they may take time to process, so it’s important to understand well in advice what should be provided and get everything processed before your belongings can be transported to the new country since they will be required for customs clearance at the new country. There will still be bills to pay or money to transfer to your new country. Since banks don’t offer the best exchange rates for money transfers, it will be better to consider using the foreign exchange bureaus. Be cautious of caring large amounts of money as many countries have restrictions on the amount of money you may carry into their borders. This also increases the risk of theft, large amounts of money should be discouraged during your trip. When moving overseas you need to know what the new country rules and laws on pets transportation involves, you will need to consider a professional pet transport company who will help with the processing the paperwork. From vet visits, vaccinations and quarantine ,they will know the most efficient and comfortable way to get your pet to the destination country safe and sound. It’s also important to note and keep in mind that in some locations, it’s not easy to find a pet friendly rental home or even an apartment can be difficult and this is where research plays a major role. Be sure to follow up and check on your tax obligations both at home and the destination country. It’s important to find out what are the requirements for health insurance and the amount it covers in the new country, even if there seems to be no reason to acquire one, it’s never a good idea not to acquire health insurance. It is important to have information on your health records from your previous doctor about any current treatments. This information will include your current treatment and any medications you may be taking. In the event of any emergency, medical staff in the destination country will be able to access this information to provide care to you or any family member. If there is a language barrier between the origin and destination country you should consider translating your medical records to make it easier for the medical staff to understand. It’s always easy to get along in many countries without having to know the local language. Even just knowing how to say PLEASE, HELLO, EXCUSE ME…helps to make life in the new country easier. It also helps to understand symbols or signs in public places and even paying bills. Classes are also a good way to learn the local language and even make friends. Even those who adjusts easily in new areas or are well adjusted expats yearn a bit of home, the new food that you have never eaten at home leads to irrational cravings, though , there are many expat focused Eat outs with tastes from home, though the prices may be very expensive. One can help reduce the missing through, installing apps like Skype, Face time so as to have face to face chats with family or friends. Kenya is a country that boasts of beautiful sandy beaches, a cosmopolitan capital, amazing wildlife and a very rich multicultural background. 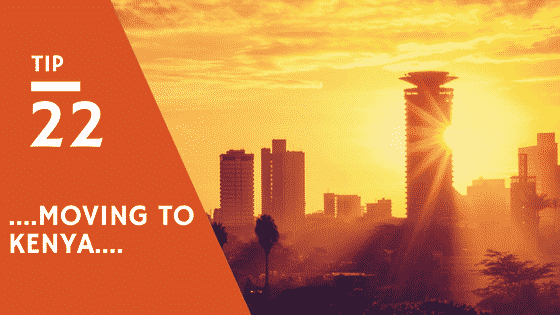 Nairobi as its epicenter once known as the” city in the sun”, a vibrant city of over 3million people with a projected growth of 6.9% is a hub of activity which caters to any interest imaginable. Bumming with pubs, hotels, restaurants and a variety of many outdoor activities. It’s no wonder the increasing rate of expat community is growing by day with slot of open opportunities to work and stay. A country which captures one when you arrive and can never leave you. 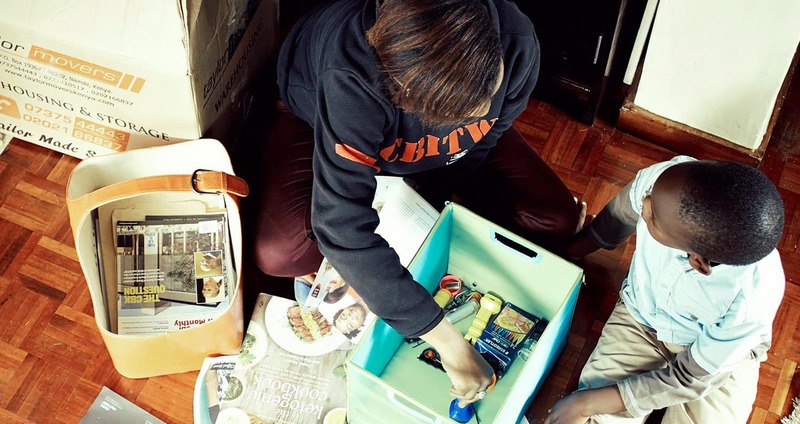 Before you wish to jump and start packing your bags, there are a few things you need to consider and how to get ready to move in Kenya, because it’s a huge learning curve which involves a lot of adjustments on embracing the different cultural differences .In any case ,you need someone to help with moving to Kenya or just a move inside Kenya, we at Taylor movers East Africa can handle everything, from packing, to loading, to moving everything and unpacking is also a thing we do and help to make the whole process easier for you. So many people don’t realize that Kenya has some specific requirements when it comes to moving to its country either as an immigrant or citizen, the immigration department is strict, unless one is sponsored by a company. Nairobi as its capital has many people who own cars, but there are other means like “Matatus”they are vans and are affordable ranging from $0.2(ksh.20) to $1(ksh.100).The other means is the motorbikes which are good for evading traffic and short distances, they range from $0.8(ksh.80) to $5(ksh.500) depending on the distance to be covered. Lastly is the taxis which are most expensive and better for longer distances and its advised to use the company owned taxis for security reasons. One has to master on how to avoid the traffic, between 7am-9am the roads are very congested, the only way to avoid this is wake up early for work.Between,5pm-6pm the same traffic is crazy, the only way is leave before 5pm or stay till late to avoid the crazy traffic. 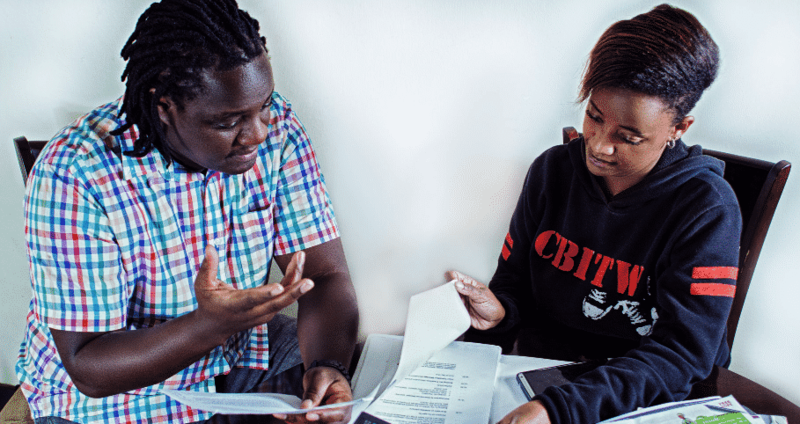 When deciding on which school to take your child in Kenya it is very important to define which part of Nairobi you are going to live because this will largely determine ones social circle and also where exactly in the part of the world you come from. There are schools that offer European Systems like German, French and British. About picking where to stay ,this will vary according to personal choice ,if you would want to make yourself at home ,the real estate market in Kenya is booming so one an get one of the luxurious furnished apartments from Kshs.90,000,if this is pricy there are available apartments in areas like Westlands, Kilimani, kileleshwa and Lavington,which have rental apartments from $550(ksh.55,000).Furthermore ,one could live on a house budget of $250(25,000),in estates like donholm, buruburu, komarock. On outdoors activities,there are great options on the eating joints from Thai, indian, Mexican, chinese with a variety of international franchises for example; KFC, Coldstone, Subway and Domino. If you are craving for Kenyan cuisine there is KOSEWE. Lastly , join one of the many country club, they are not too expensive, they will be one of the best ways to make friends and mostly in the expat community. If you have all of the above covered then its good to get into the next plane to Kenya and enjoy the experience. It is a very fantastic country, where sundown’s are a way of life, where there are various meanings to word like “JUA KALI”,where your sense of humor will increase ten fold, having a work life balance really is possible and even start referring to yourself as Kenyan regardless what your passport says. Based on our years as an international moving company, we’ve created a comprehensive list of tips for packing household goods to help with any move, overseas or cross-country. Different household goods will have to be handled in different ways to ensure they are secured correctly packed and can be moved easily. One could come across all sorts of different household goods varying in shapes, sizes and weights. The most important thing is to have an in-depth discussion with your shipping consultant while making your initial inquiry. If you disclose all-important information about all the articles that you need moving, it makes the whole process easier to organize from a shipping, packing and loading point of view. Remember, moving internationally is a three-step process. 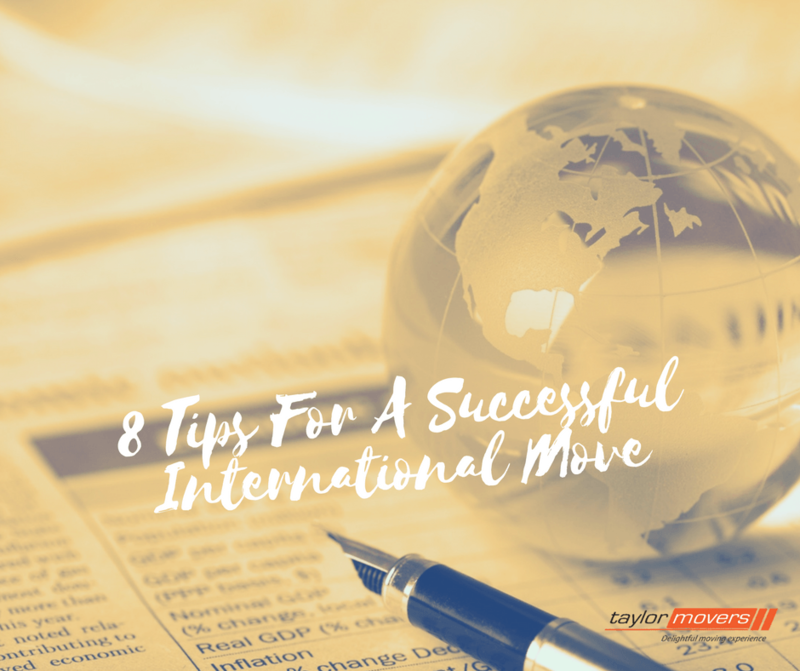 If you are looking for a one stop shop and a company that will manage all three of these aspects and give you peace of mind, or have questions about your international move, Taylor Movers will be happy to work with you. So what are you waiting for? Request a free overseas moving estimate by calling us today or by completing our quick quote form.